It can be difficult to find the perfect treatment for children with ADHD, but recently, a form of meditation called mindfulness has become an increasingly popular addition to traditional treatment. When done correctly, mindfulness can fit into strategies for helping children with attention deficit hyperactivity disorder. A growing body of research shows that mindfulness can actually physically alter the brain to improve concentration, self-control, and other cognitive difficulties that are common in ADHD. And children, whose brains are highly malleable, may gain much more from the practice than their parents. Although there is research that supports mindfulness as a supplemental form of treatment for ADHD, in order to prove that these approaches can improve outcomes for children when ADHD more studies are needed. The benefits of mindfulness go beyond reducing stress or focusing the mind. It helps children with ADHD handle executive functions that are essential to academic success – things like following instructions, staying organized and finishing tasks. Children as young as seven can learn and benefit from mindfulness, and practice it both at home and in the classroom. Being mindful is to focus on the present. The goal is to accept thoughts and events as they are, without judgment. It means teaching your child not to give into runaway negative thinking. Botching one exam, for instance, doesn’t have to spell future scholastic doom. For parents, mindfulness can teach them to be alert to faulty mind filters that can let your emotions get out of control, according to the Child Mind Institute. 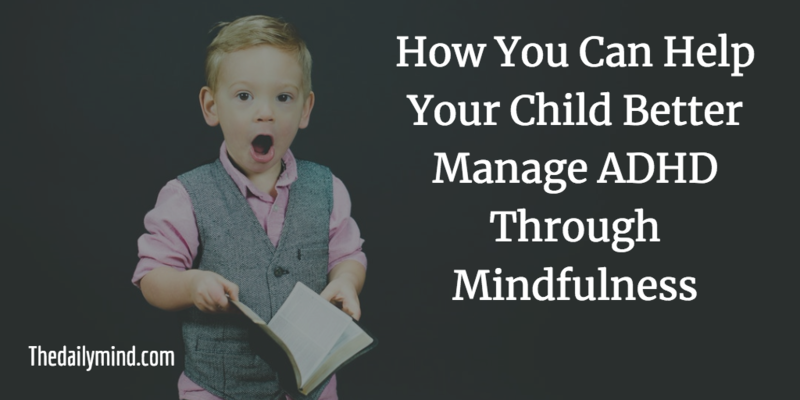 For example, if a kindergartner insists on going to school wearing her clothes backward, parents can use mindfulness to remember that allowing her doesn’t have to be a sign of parental neglect. With as little as eight weeks of training, mindfulness has shown to help reduce the degree of inattention, hyperactivity and impulsivity that are the three main traits of ADHD. A 2012 study by researchers in Belgium and the Netherlands showed that ADHD symptoms in elementary- and middle-school students improved, as observed by their parents. What’s more, the parents reported that their own ADHD symptoms got slightly better as well. And levels of “parental over-reactivity” and stress dropped markedly. Science shows that taking deep breaths and staying calm, changes people’s brain. 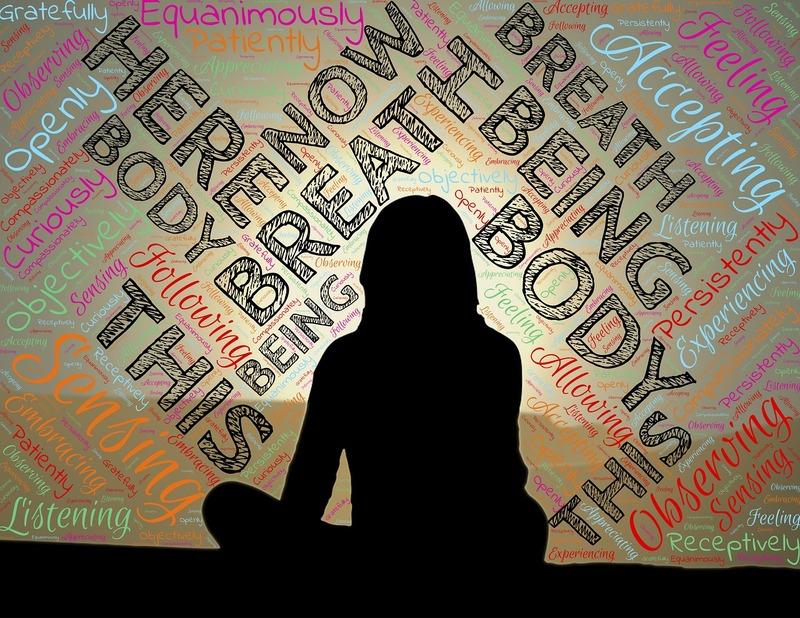 Mindfulness fattens up the brain stem and enlarges the gray matter — the area responsible for memory, attention and impulse control — to better regulate emotions. Along with prescription drugs, behavior treatment is one of two evidence-based treatments for children with ADHD. And the most common type is behavioral parent training. It uses rewards and rules and structure to set children up for success. These treatments should first be tried and then supplemented with mindfulness approaches, for a better understanding of how incorporating mindfulness effects the child. Evidence-based interventions also are the primary ways that teachers and counselors help support students in classrooms, according to an article from [email protected], which offers an online masters in school counseling from NYU Steinhardt. For a student with a hyperactive form of ADHD, a teacher might give her a chance to move about, such as handling out assignments. Or a student who is easily distracted might do better seated away from a window or the corridor. Mindfulness can be a valuable part of that intervention. Here are some exercises that can be done at home and, in many cases, in the classroom. 1. Elevator: Imagine your body is an elevator, with the head as the top floor. Exhale, and picture the elevator going down a flight to your chest. Breathe in, and think of it as cleansing breeze sweeping through the elevator. Repeat, going down to your belly, knees and feet. 2. Animal Rising: This self-soothing activity is particularly good for kids who have hyperactive form of ADHD. Lie on the floor. Put your stuffed animal or another favorite toy on your belly. Take deep, slow breaths. Watch the animal rise and fall. 3. Unfurl Fingers: A handy, calming exercise. Make a fist with both hands. With each breath out gently open one finger, starting with a thumb. Keep going until both of your palms are open. 4. Mindful Jar: Try this to help your child deal with strong emotions. Fill a mason jar almost full with water. Add a spoonful of glitter glue or regular glue and dry glitter. Shake well. Explain that the swirling glitter is like your mind when you’re upset or stressed. Wait and watch as the flecks settle and the water clears. That represents a calm mind and the time to think more clearly. 5. Super Poses: This simple exercise can help your young child feel brave and strong. Stand with the feet apart, just wider than the hips. For the Superman pose, clench the fists and reach out with the arms to stretch the body. For the Wonder Woman, put the fists on the hips. According to [email protected], it’s important for parents, teachers and counselors to work together to ensure that children with ADHD get positive reinforcement for good behaviors. Mindfulness is a tool that students can deploy anywhere. Author bio: Alexis Anderson is a Digital PR Coordinator covering K-12 education at 2U, Inc. Alexis supports outreach for their school counseling, teaching, mental health, and occupational therapy programs.